This ISV is building its business on the premise that today end-to-end retail platforms are better accessed than developed. In mobile environments, that reliability advantage trumps price every time. When you take big technology off of a desk, make it considerably smaller, and put it in a store associate’s hands, there’s no question it’s going to get dropped. That’s why Seiko’s MP-A40 series, which weighs in at just a pound and a half, is built to withstand multiple drop tests at 6.6 feet. Ruggedness is an important feature to solutions providers like Highline, which sells its POS applications and supporting hardware to specialty retail segments ranging from the relatively delicate apparel industry to considerably harsher hardware store and service-oriented environments. Product quality aside, Belena says the sales and tech support he receives from Seiko is uncommon. The vendor’s Ascend ISV Partner Program offers a full complement of technical support, demonstration products, tech documentation, and testing services to ensure a smooth sales and implementation process. Belena says presales support for Seiko’s ISV partners includes a solid lead generation effort managed by an active sales team. “We knew that if we embraced the cloud early, we’d be in good position to disrupt the market a bit,” says Phillip Belena, founder of Highline. Highline is a relatively new player in the POS (point of sale) software space, but its executive leaders are anything but green. Founder Phillip Belena, for instance, enjoyed a successful career in Operations at Toys“R”Us before joining retail tech powerhouse Infor, then esteemed consultancy Accenture and, ultimately, launching Highline in 2012. His cofounders are computer scientists, and the company’s customer portfolio is already nationwide, from small specialty merchants to national chains. The secret to that rapid success, says Belena, has been eschewing virtually everything associated with “legacy” retail enterprise software. Highline doesn’t sell an on-premise version of its software. “Think of Highline as Gmail for retailers,” Belena explains. Like Google, Highline runs everything off the cloud. Its software is accessible from any browser, tablet, or phone. And like Gmail, it steers clear of customizations. “That’s not what today’s market is after. It’s not what they want,” he says. To be clear, the Highline platform is decidedly feature- and function-rich. As inventory and customer relationship management, payments, security, order management, and loyalty go, it stands up to any enterprise retail software or ERP (enterprise resource planning) provider on the market. The primary difference isn’t in the feature set itself; it’s in where that feature set comes from. Furthermore, legacy software requires a huge investment in highly skilled IT professionals to manage and support it. “Today’s retailers simply don’t have the margins to hire worldclass talent. So they fall behind as online competitors such as Amazon accelerate the pace of innovation,” he says. When those legacy solutions run on-premise, they also require a lot of server power, which equates to big-time investment in IT and hardware. When Highline leaders were crafting their vision back in 2014, there were few, if any, cloud-based POS platform providers that could scale their solutions from one store to hundreds. “We knew that if we embraced the cloud early, we’d be in a good position to disrupt the market a bit,” says Belena. Good position, indeed. Brand new research from Business Solutions’ sister publication, Innovative Retail Technologies magazine, reveals that a full half of merchants are actively moving applications to the cloud. Among merchants with 500 or more stores, nearly 44 percent of executives report that 41 percent or more of their enterprise applications are already cloud-based. Another 47 percent said that cloud applications would account for nearly half of their enterprise software portfolios within three years. Asked why they’re enamored with cloud application delivery, merchants cited faster deployments and quicker ROI (61 percent), relief of IT bottlenecks and administrative burdens (52 percent), and continuous flow of innovation/application updates (44 percent) as the primary benefits of cloud-based applications. But according to Belena, it’s not enough for software vendors to simply roll their legacy applications up into the cloud. “The benefits of the cloud are linked to the agility of applications and systems,” he says. To achieve that agility, Highline doesn’t limit its retail customers to the ISV’s own development efforts. Instead, it offers customers a broad selection of solutions from an ecosystem of more than 500 integrated, cloud-based applications from third-party vendors including Constant Contact, FreshBooks, Google, Magento, MailChimp, QuickBooks, Salesforce, Shopify, and a myriad of others. Access to these products is granted and integrated in partnership with Zapier, an online service that enables businesses to connect together disparate business applications and services without the burden of coding. U.S. merchants didn’t exactly roll out the red carpet for EMV when they were pressured to adopt it last fall. But, survey data from Innovative Retail Technologies indicates a healthy market for payment terminal and payment processing software sales. An early look at the magazine’s annual report on retailers’ tech spending plans reveals that nearly 20 percent of merchants are planning to invest in new payment terminals in 2017, 32 percent will invest in payment security protocols, and 30 percent are planning payment processing software investments (up from 27 percent in 2016). While many ISVs walk the fence in an attempt to balance the industry’s payment security initiatives with retailers’ often-maligned take on perceived payment security mandates, Belena doesn’t waffle when it comes to payment security. Highline was the first software vendor to certify in the U.S., and the company is currently working on its second EMV certification. EMV and ApplePay come for free for Highline customers. “EMV is not optional for Highline customers,” says Belena. “Our approach is simple; our customers don’t often understand things like EMV and PCI standards. However, they get EMV and PCI compliance out of the box. Our cloud architecture ensures that sensitive data is never stored on customer premises and customers automatically get the latest updates. 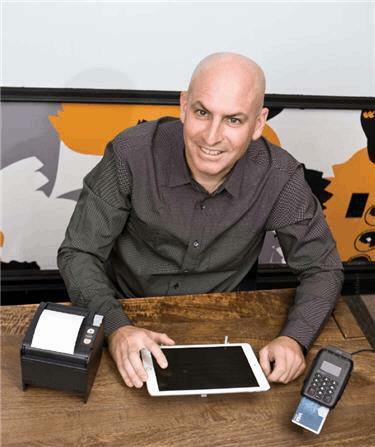 We handle the heavy lifting to ensure they’re PCI-certified and EMV-compliant, which frees them up to run their businesses.” To date, an astounding 100 percent of Highline’s retail customers can take EMV and contactless payments. While Belena says the cloud is the major sales driver for Highline, he says mobility has moved from a unique differentiator to an expectation among merchants. Meeting that expectation, he says, requires flexibility. “Retailers’ expectations of mobile solutions are not a one-size-fits-all proposition,” he says. Some are keen on mobile POS, while others seek mobile devices that empower store associates with customer service and inventory visibility applications. Again, the aforementioned research from Innovative Retail Technologies supports his assertion. Mobile POS hardware will continue its years-long run at or near the top of merchants’ list of instore hardware expenditures in 2017, with 35 percent of merchants indicating they’ll invest there. Interestingly, for the first time in the benchmark report’s history, non- POS mobile devices for store associates took the top spot in planned in-store hardware investments for the coming year, with 37 percent of merchants planning to invest in them. Solutions providers that offer a single mobile device running limited applications are therefore at a disadvantage. Highline’s quick success trajectory is proof positive that if you build it in the cloud, the customers will come. It’s also proof that with modern application interface tools like Zapier, the “building it” part doesn’t have to be expensive and cumbersome.